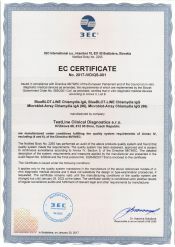 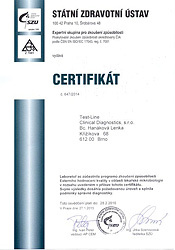 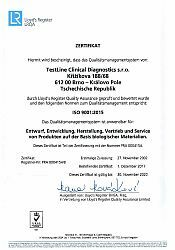 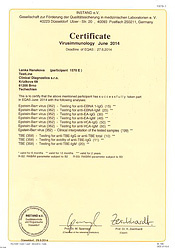 Certificates | TestLine Clinical Diagnostics s.r.o. 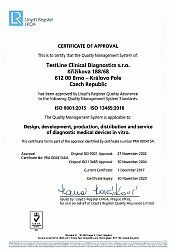 The company satisfies the criteria of Good manufacturing practices (GMP) and has been ISO 9001:2015 and ISO 13485:2016 certified by Lloyd’s Register Quality Assurance to the Quality Management System Standards. 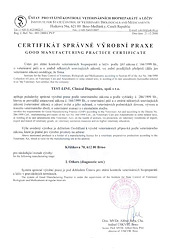 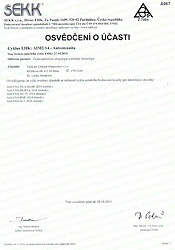 Products that are in accordance with Government Regulation 453/2004 Coll., annex no.2 listed in List B are assessed by Notified body ITC Zlín. 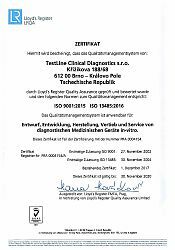 Test Line regularly participates in local external quality assessment (EAA, SEKK) as well as in international quality assessments (e.g. 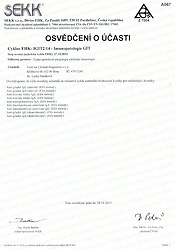 INSTAND, Veterinary Laboratories Agency). 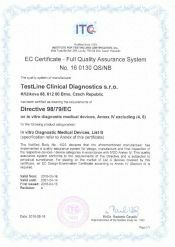 The successful outcomes of these tests confirm high quality of kits. 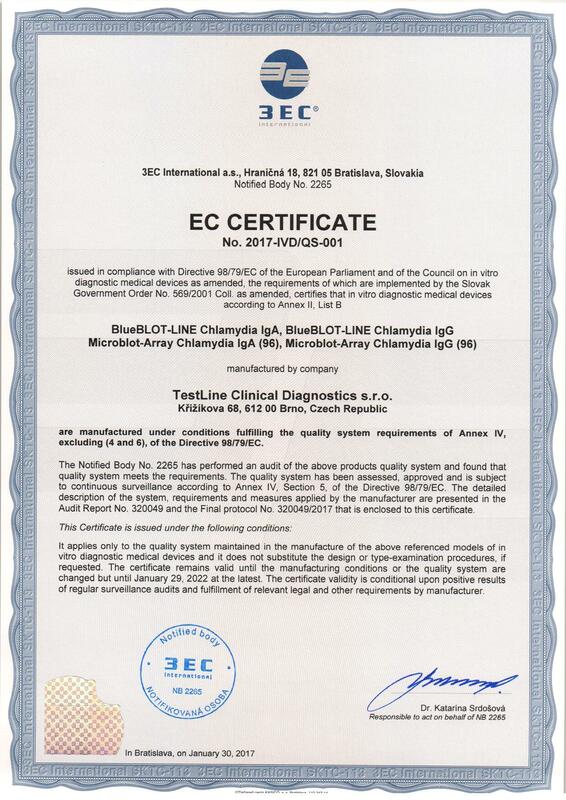 The results of the final inspection of the product and the batch attained by the Department of Quality Control, announces the "List of quality" located on the TestLine website.